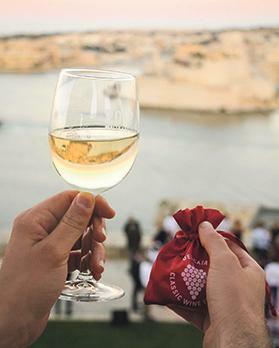 The 17th edition of the Delicata Classic Wine Festival kicks off today at the Upper Barrakka Gardens in Valletta. Wine coins are redeemable for glasses of Delicata wines. There will be over 20 wines to sample from various wine stalls spread along the gardens’ periphery while live cooking stalls will be serving both traditional Maltese and international cuisines. Kersten Graham + Band and the Crowns will be playing today. Tomorrow will feature Planet Seed and The Busker, while on Saturday, Bernie & Pod and Spiteri Lucas Entertainment will entertain the crowd. Sunday will see cash & Band and Gianni & Rug. While entrance is free, to try the wines one needs to purchase a purse of 24 wine coins and a souvenir glass. The wine festival runs until Sunday from 7pm to midnight.